Our Full Color Printed Signs feature unlimited options for your text and logos. Please Select a Size 1" x 2"1" x 3"1" x 4"1" x 6"1" x 8"1" x 10"1" x 12"1" x 14"1" x 16"1" x 18"1" x 20" 2" x 3"2" x 4"2" x 6"2" x 8"2" x 10"2" x 12"2" x 14"2" x 16"2" x 18"2" x 20" 3" x 4"3" x 6"3" x 8"3" x 10"3" x 12"3" x 14"3" x 16"3" x 18"3" x 20" 4" x 6"4" x 8"4" x 10"4" x 12"4" x 14"4" x 16"4" x 18"4" x 20" 6" x 8"6" x 10"6" x 12"6" x 14"6" x 16"6" x 18"6" x 20" 8" x 10"8" x 12"8" x 14"8" x 16"8" x 18"8" x 20" 10" x 12"10" x 14"10" x 16"10" x 18"10" x 20" 12" x 14"12" x 16"12" x 18"12" x 20"
All of our Full Color Signage comes with plenty of mounting options for walls, doors and cubicles. Please Select a Size 2" x 1" 3" x 1"3" x 2" 4" x 1"4" x 2"4" x 3" 6" x 1"6" x 2"6" x 3"6" x 4" 8" x 1"8" x 2"8" x 3"8" x 4"8" x 6" 10" x 1"10" x 2"10" x 3"10" x 4"10" x 6"10" x 8" 12" x 1"12" x 2"12" x 3"12" x 4"12" x 6"12" x 8"12" x 10" 14" x 1"14" x 2"14" x 3"14" x 4"14" x 6"14" x 8"14" x 10"14" x 12" 16" x 1"16" x 2"16" x 3"16" x 4"16" x 6"16" x 8"16" x 10"16" x 12" 18" x 1"18" x 2"18" x 3"18" x 4"18" x 6"18" x 8"18" x 10"18" x 12" 20" x 1"20" x 2"20" x 3"20" x 4"20" x 6"20" x 8"20" x 10"20" x 12"
Using the latest in UV printing technology ourcustomized signs are durable AND beautiful! 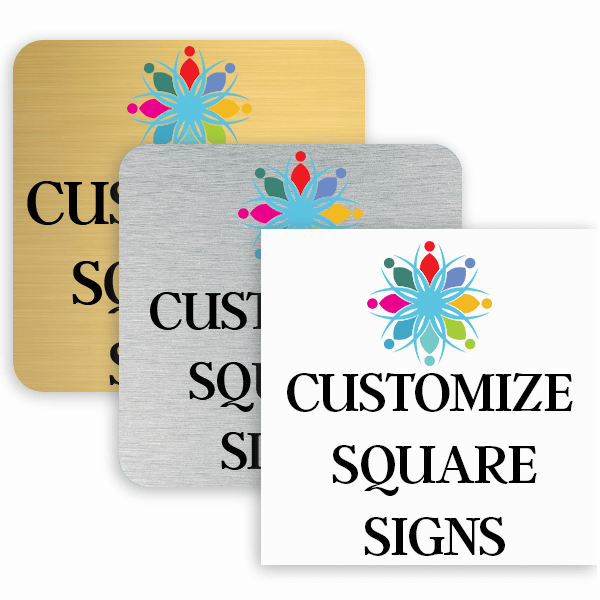 Please Select a Size2" x 2"3" x 3"4" x 4"6" x 6"8" x 8"10" x 10"12" x 12"
Our quality custom full color signs provide the best way to promote your message or brand. 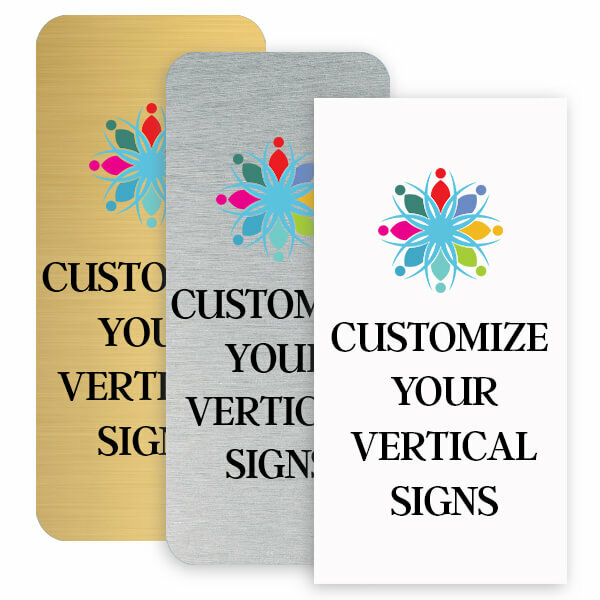 Whether you need full color signs or plaques with your company logo, or full color text signs, we have many sizes and options available at great prices here at CustomSigns.com. With our online designer you can create a custom sign using your own logo or our available clip art. Your design will feature the latest UV technology to cure the ink for the most durability and color flexibility. Signs are made of the highest quality materials right here in the USA. With a variety of mounting options, our full line of wall signs are great for doors, cubicles or walls and can be attached to glass, fabric, wood or metal. Be sure to shop our many different sizes and color options for every office need. 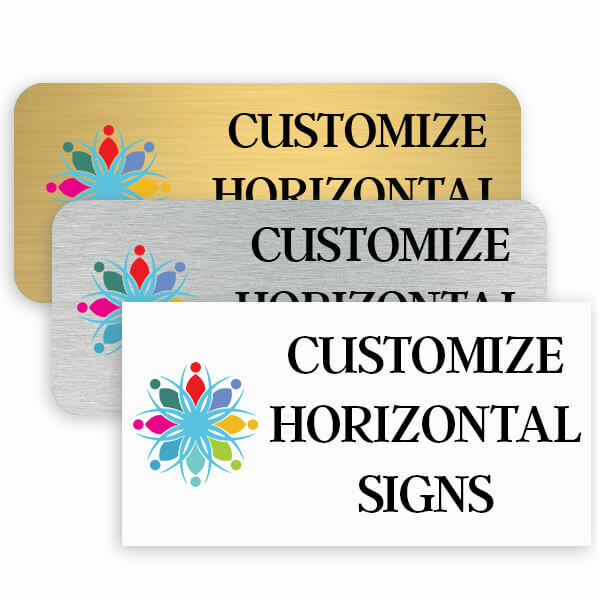 Whether you are in need of full color desk plates, wall or door signs to mark conference or meeting rooms, we have a full stock available and we generally finish and ship custom orders in just a couple of business days. Also see our latest addition of signs featuring full color brass signs.